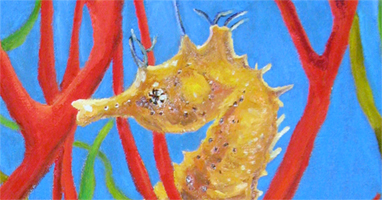 I came up with the idea for this painting while I was visiting the Mote Aquarium in Sarasota Florida this summer. 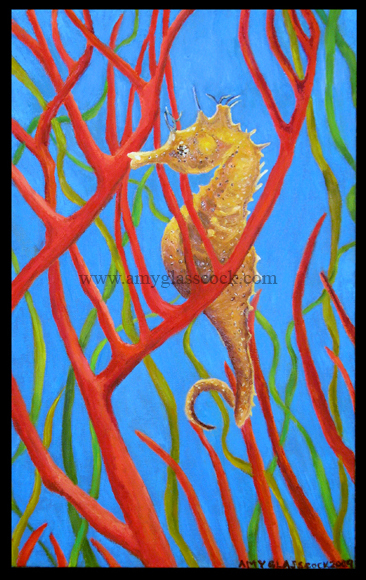 I have always liked seahorses and when I saw this one with all of the red and green foliage floating around it I knew that I wanted to paint it. There was something beautiful about such bold orangey red lines that just entranced my eyes. Perhaps it is all the complimentary colors that gave the image so much energy. (The complimentary colors red and green together - along with other complimentary colors: orange and blue.) My hope is that this painting will entrance you as well. Enjoy! 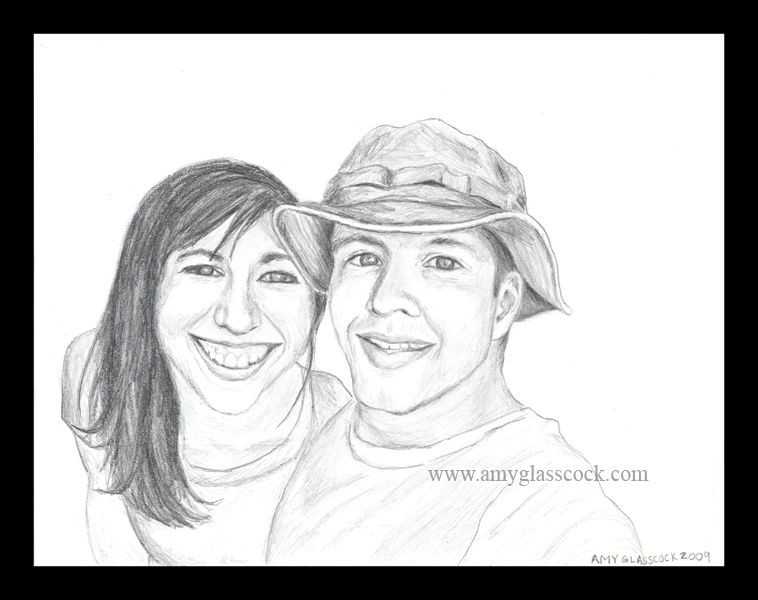 PS- I also recently finished a commissioned drawing. Click here to take a look at it!